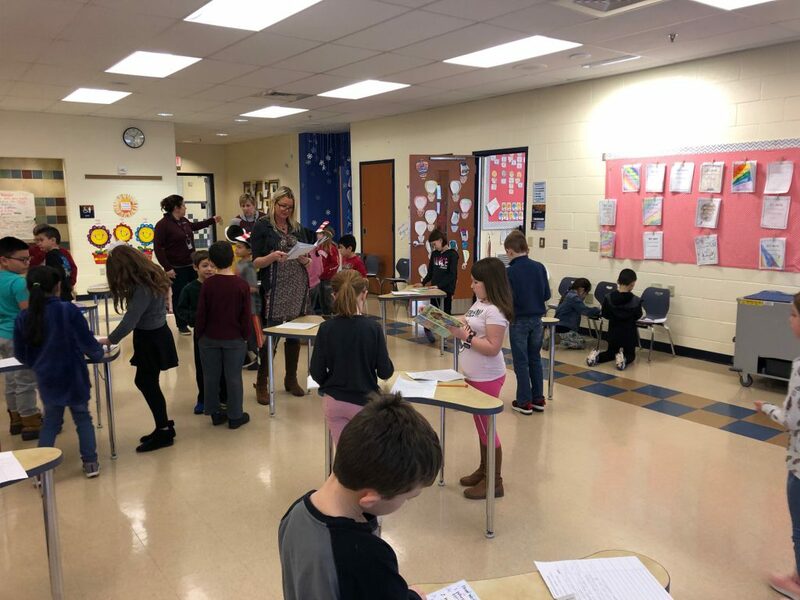 Fourth and fifth grade students in Miss Caitlyn Stratman’s music class have been working very hard to learn how to play the ukulele. 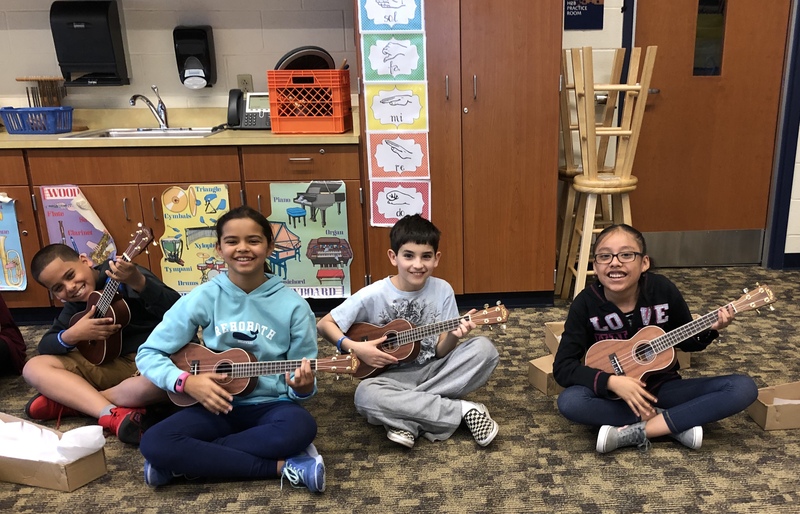 This is the first year Bancroft Elementary School has introduced ukuleles in the music curriculum, and it has been a hit with the students. So far the students have mastered playing the open strings and are now beginning to learn basic chords. Soon, the students will be using these chords to play pop songs such as “Thunder” by Imagine Dragons in class! 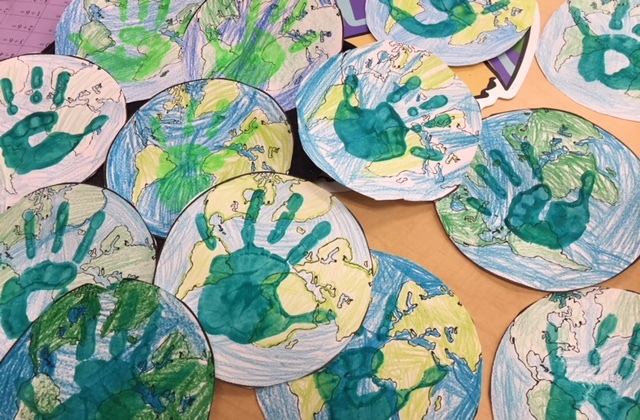 Mrs. Sara Bender’s class celebrated Earth Day on Monday, April 22nd. 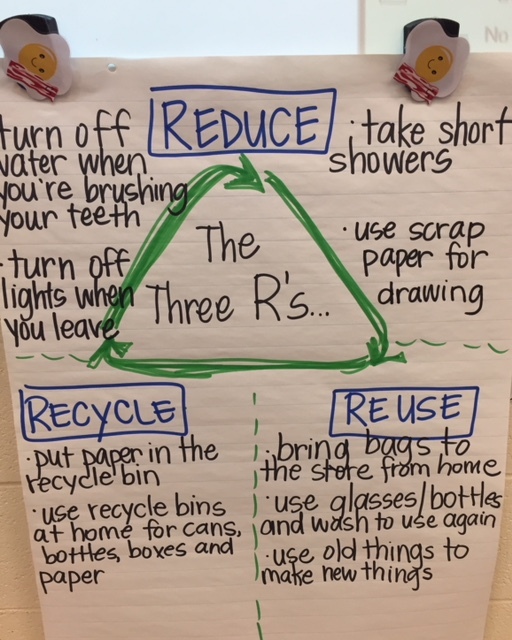 The day’s activities were focused around the three Rs: Reduce, Reuse, Recycle and what each important word means. 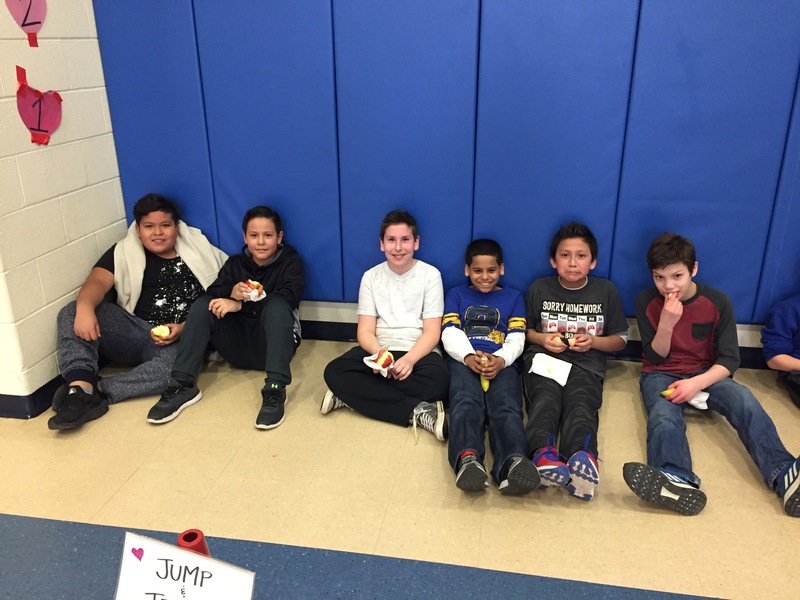 A video helped the students to make real life connections to how each of them can reduce, reuse, and recycle. 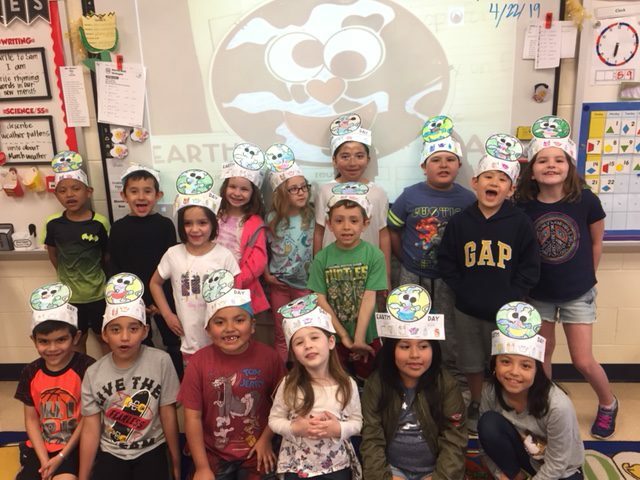 The student created hats that they wore home to help their families remember the three Rs and they wrote Earth Day pledges promising to do their part to help. 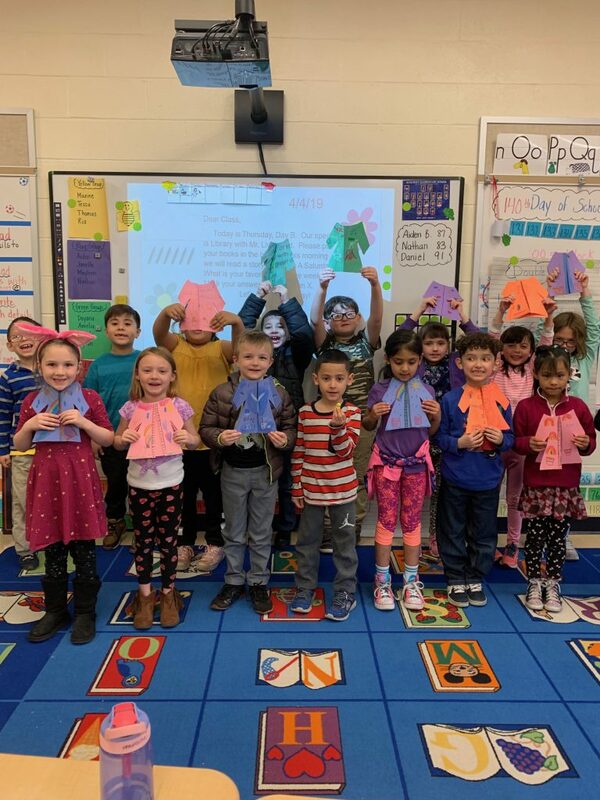 Mrs. Bender’s class hopes that these choices to Reduce, Reuse, Recycle don’t just happen on Earth Day, but EVERYDAY! 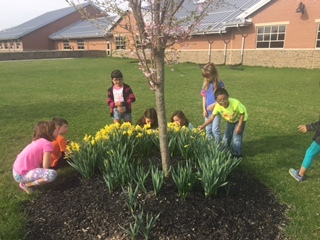 Mrs. Gretchen Peterson’s class took a trip outside to observe what Spring looks and sounds like. 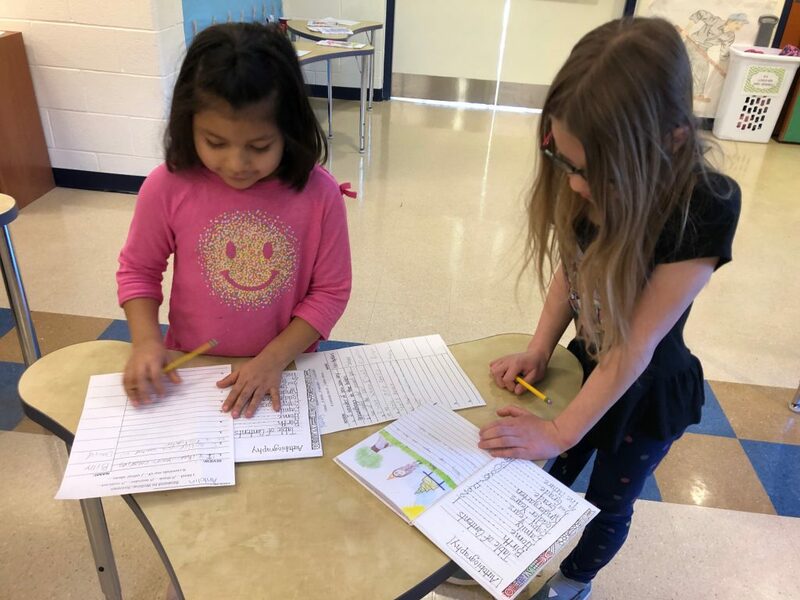 Back in the classroom, the students wrote and illustrated poems about Spring using sound and motion words. 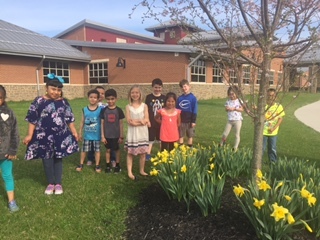 Mrs. Stacey Hoernig’s first grade students are excited about Spring! 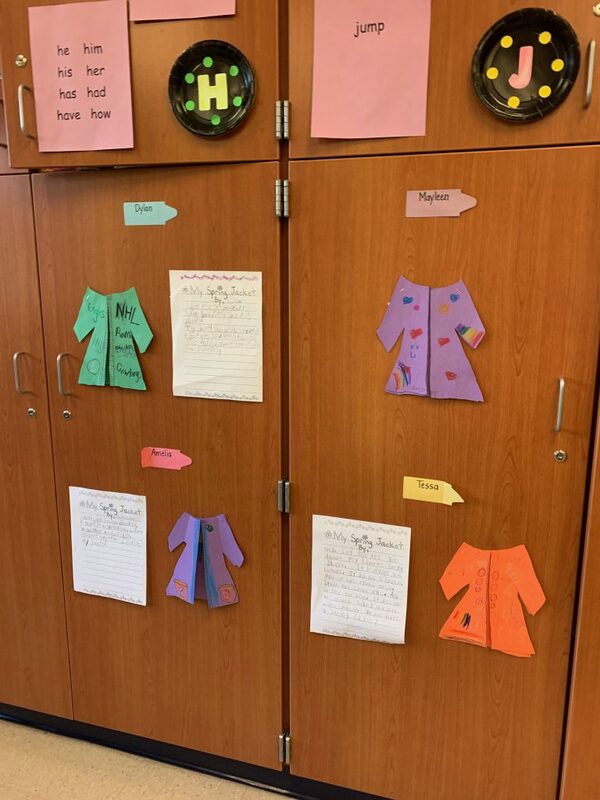 After reading the story The Jacket I Wear in The Snow, the students used describing words to write about jackets they would design to wear in the Spring. 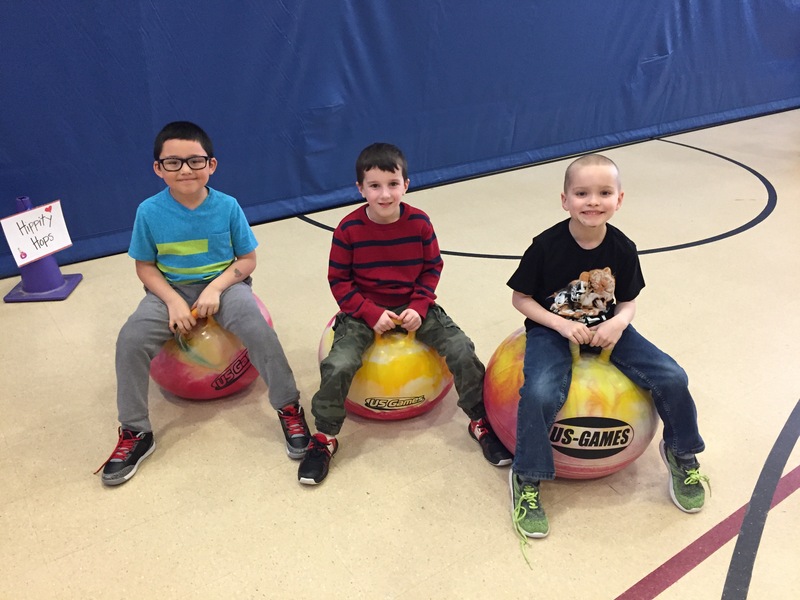 Kids Heart Challenge update: We are proud to announce that Bancroft Elementary School has reached its goal of raising more than $10,000 for the American Heart Association, raising $10,661.41 to fight heart disease and stroke! We are so proud of our students and families that helped us achieve our goal. 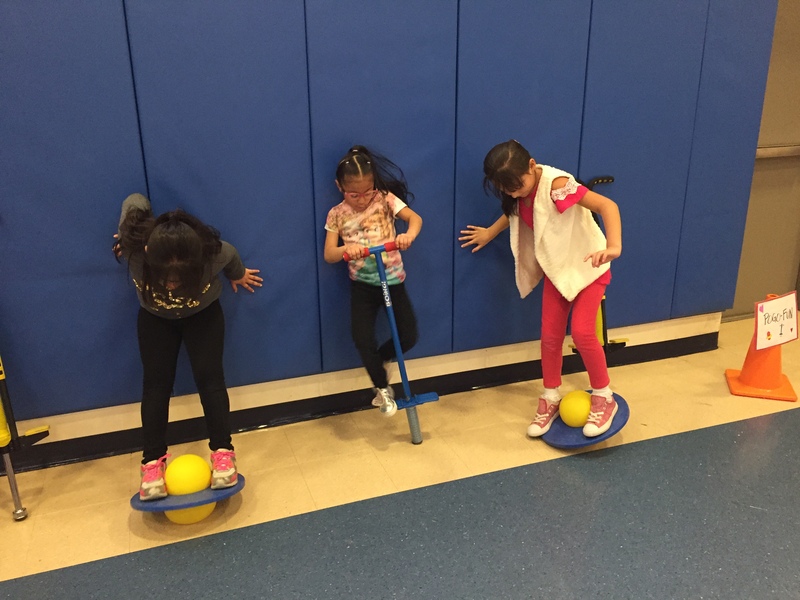 All students helped to bring awareness in our community by participating in fun jumping and hopping stations. 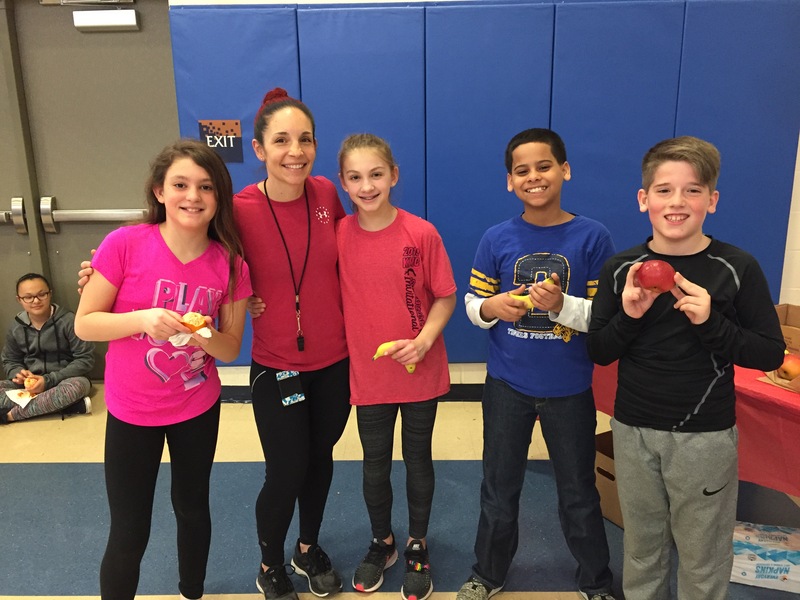 We’d like to thank Mrs. Leigh Castle, Mr. John Howanski, and Mrs. Kelly Hainsey for organizing a great event, our generous PTO, and Glen Willow Orchards for supporting our event by donating delicious fruit for the students to enjoy. 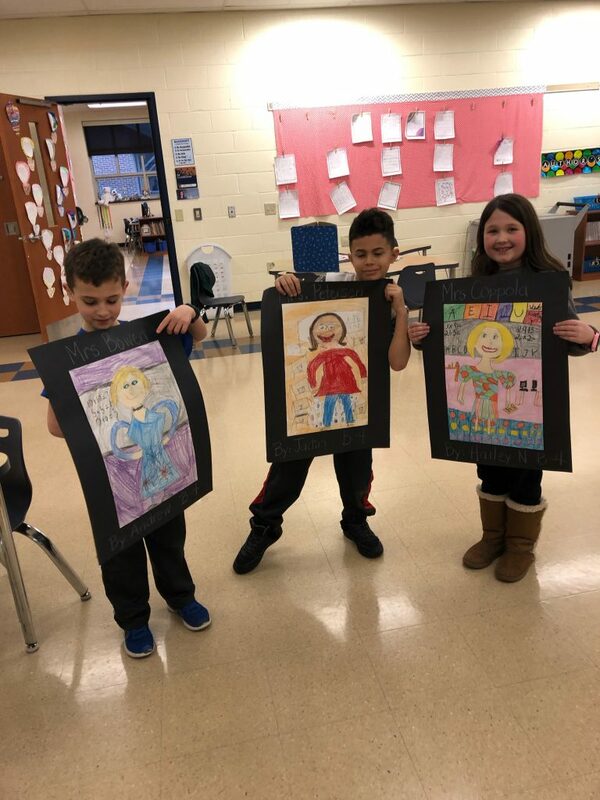 In Ms. Janice Finn’s art class, fifth grade student-artists are using asymmetry and oil pastels to create Cubist Fractured Faces like Pablo Picasso! The bold complimentary colors and strange faces have given the artists a whole new perspective on the definition of art. 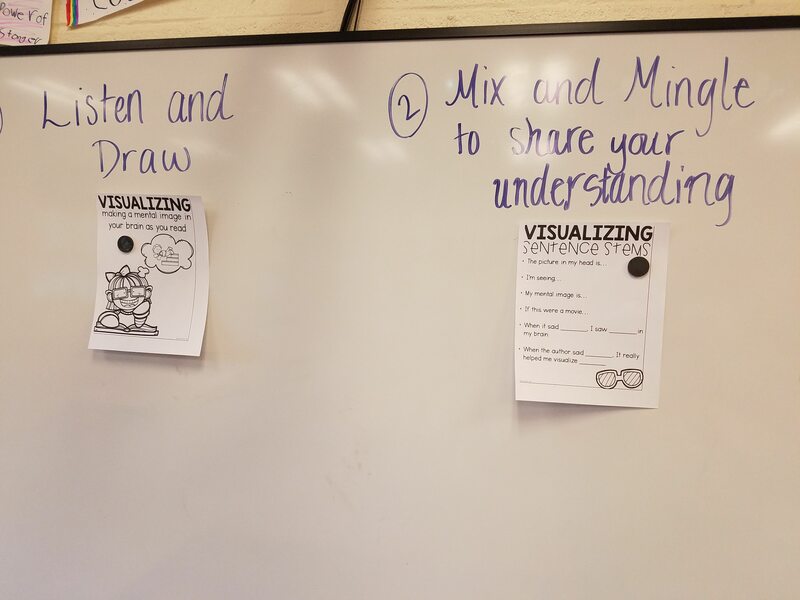 Our first grade artists are learning about the “Elements of Art” by creating a beaded Elements of Art book. 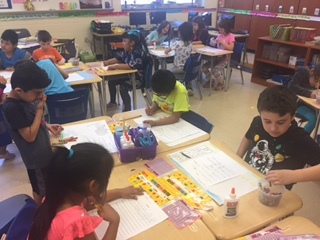 The first grade artists love to sing along to the Elements of Art song as they make an illustrated page for each element. 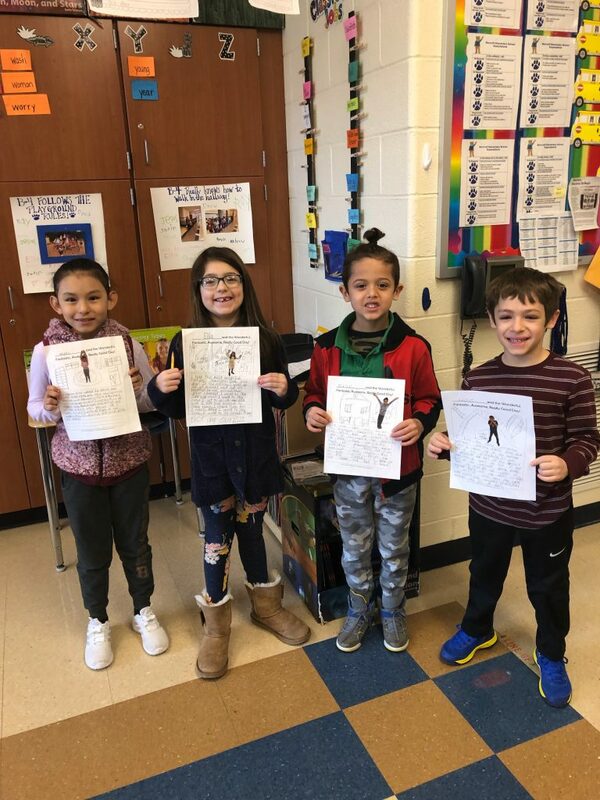 Third grade artists have created a Native American Talking Animal that is filled with Native American picture word stories and beautiful drawings of the natural resources found all around us. 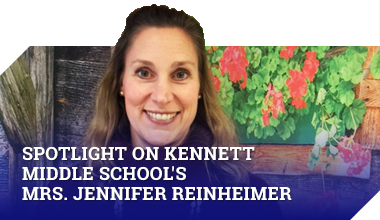 Art stretches the imaginations and engages students in learning. 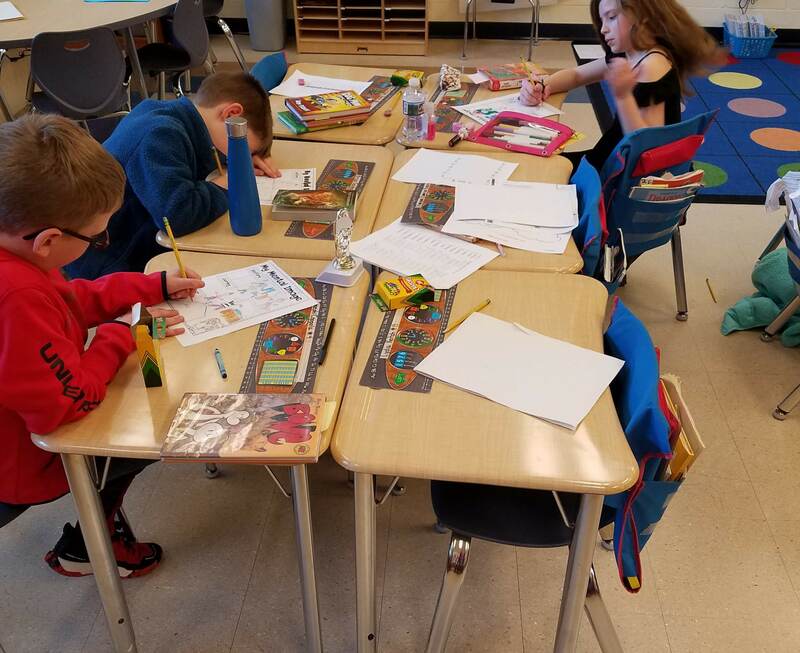 Students in Mrs. Kate Bowen’s class recently read Alexander and the Terrible, Horrible, No Good, Very Bad written by Judith Viorst. 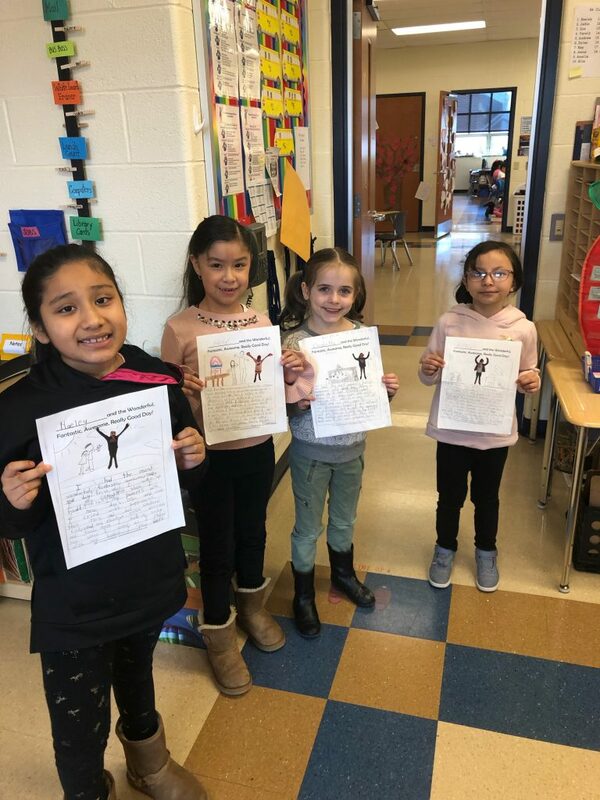 In order to practice their writing skills, the class decided to write about a wonderful, fantastic, awesome, really good day! Students also read Jamaica Louise James in their Storytown books. 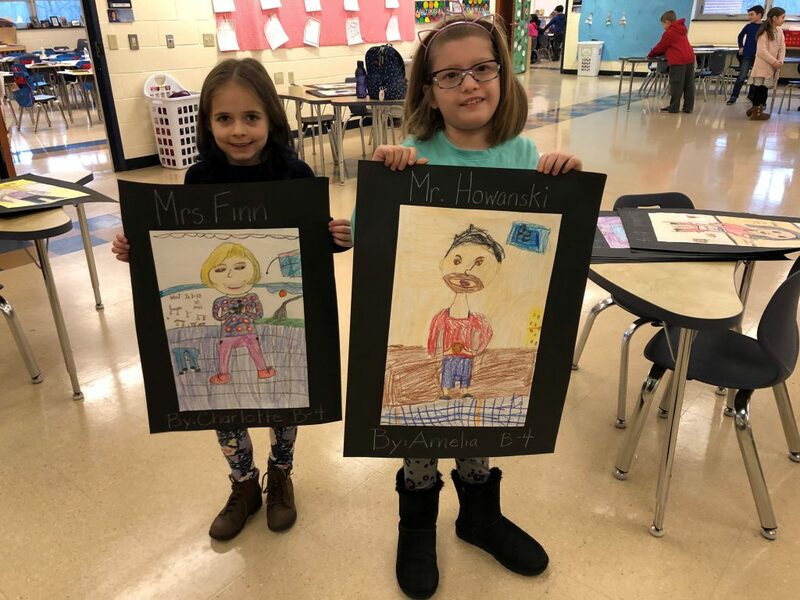 The reading inspired students to draw portraits of teachers and staff. 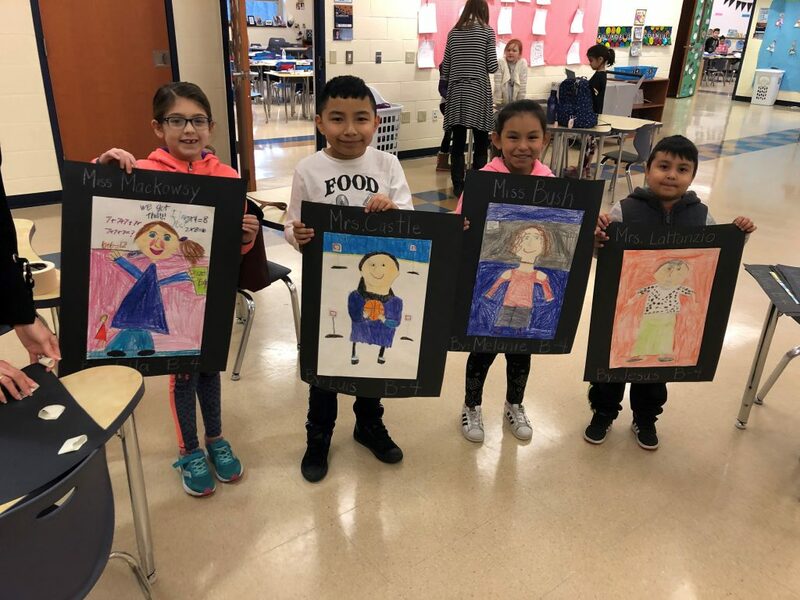 The amazing portraits are on display in the hallways of Bancroft Elementary School. 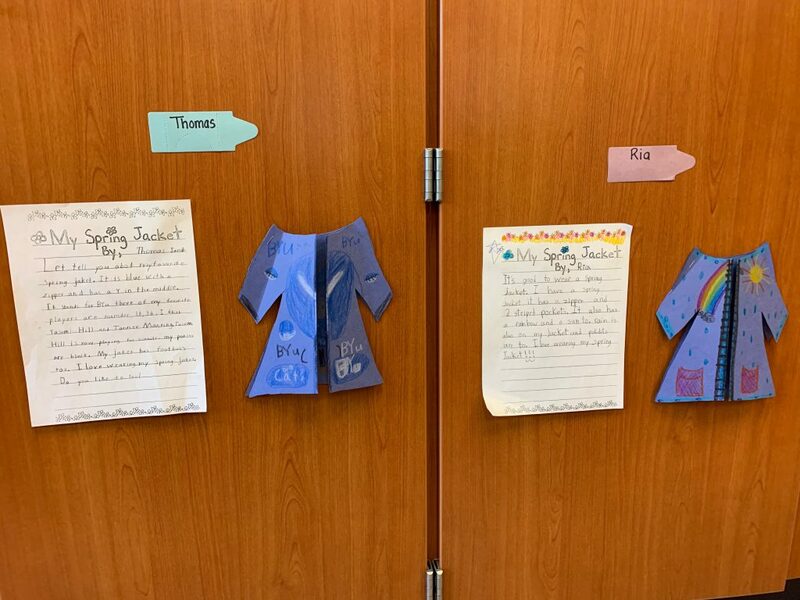 Mrs. Tracy Hopkins’ second grade students learned what it takes to be an author by writing their own autobiographies. 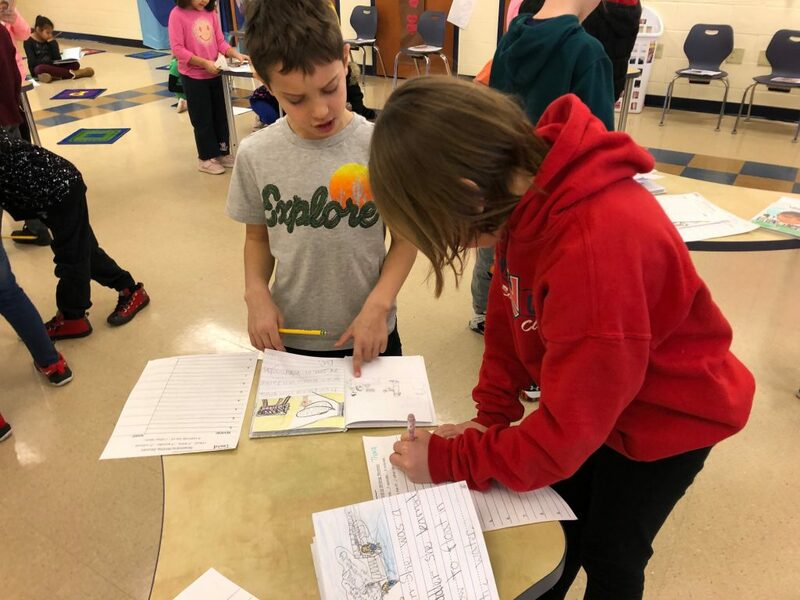 Students learned that being an author takes time and requires patience and perseverance. 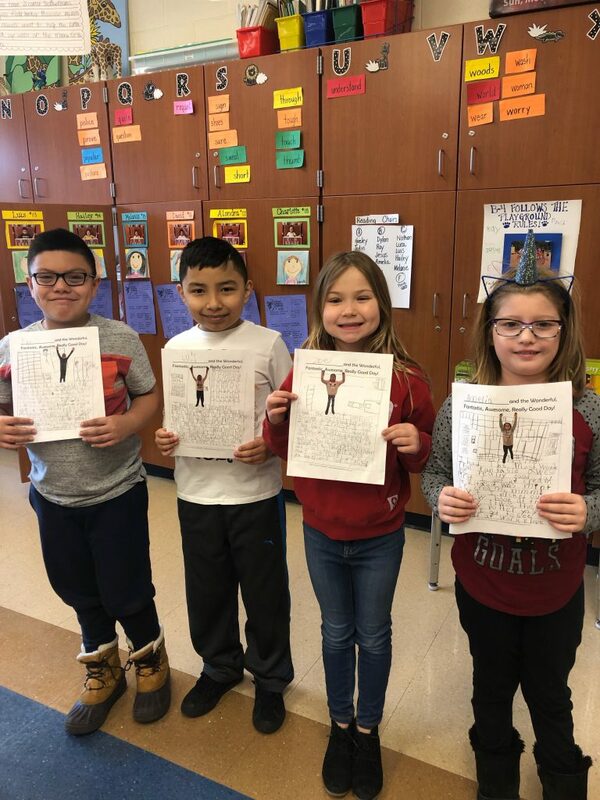 Their autobiography stories turned out amazing! 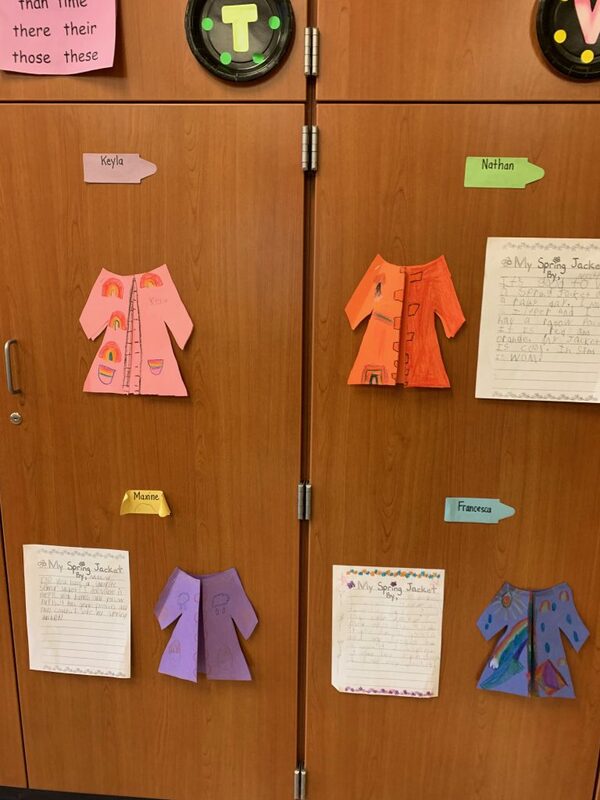 Together, students celebrated their stories with a review party in the second grade pod. 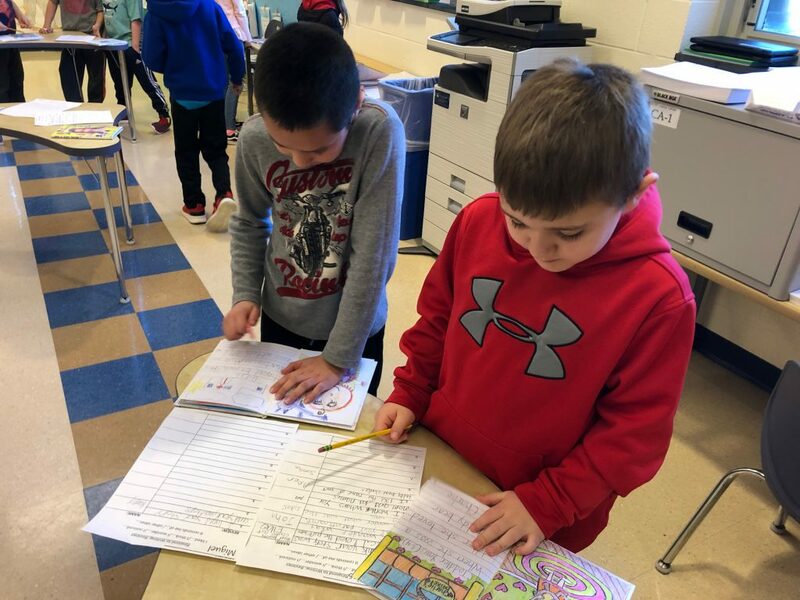 Students and teachers read each other’s books, and wrote helpful reviews about something they liked, noticed, thought, and wondered. It was a wonderful, sharing celebration! 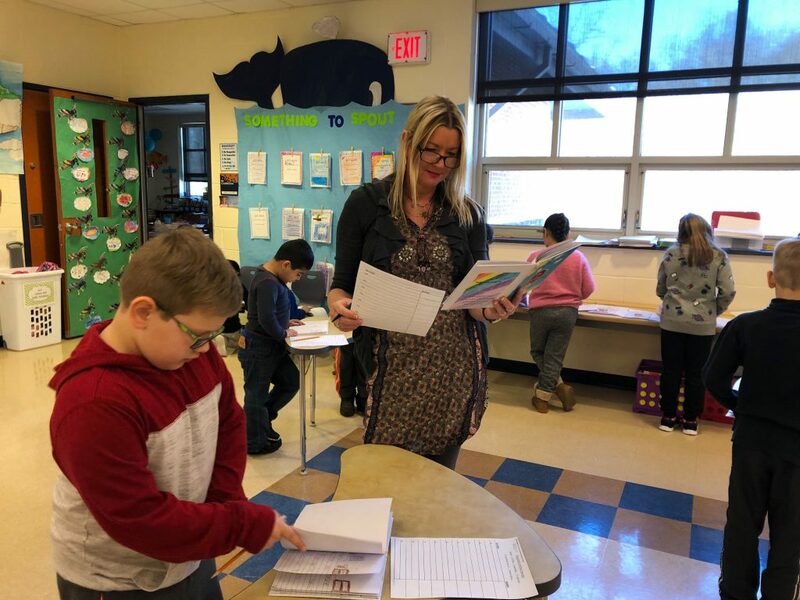 The students in Mrs. Sherri Donnell’s second grade class have been hard at work writing and publishing their first hardback book. 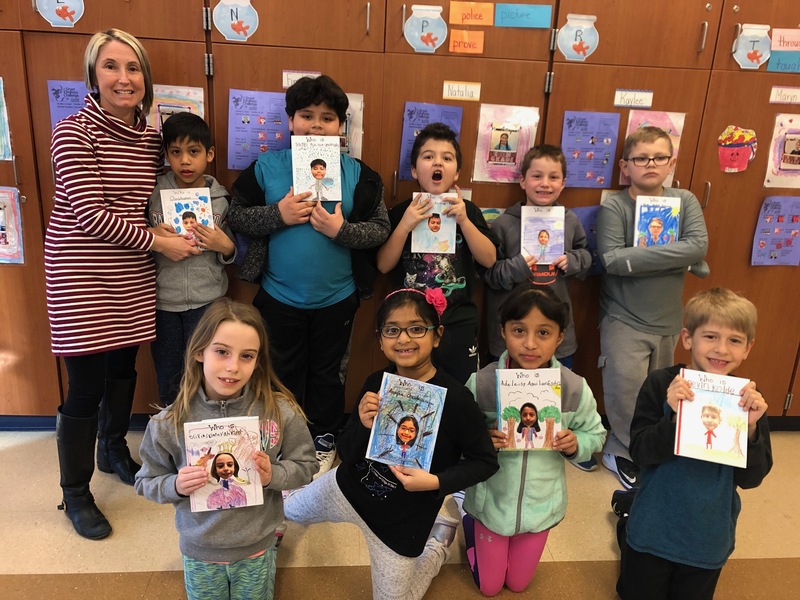 The second grade received a grant from the Kennett Education Foundation to purchase two blank hardback books per student. 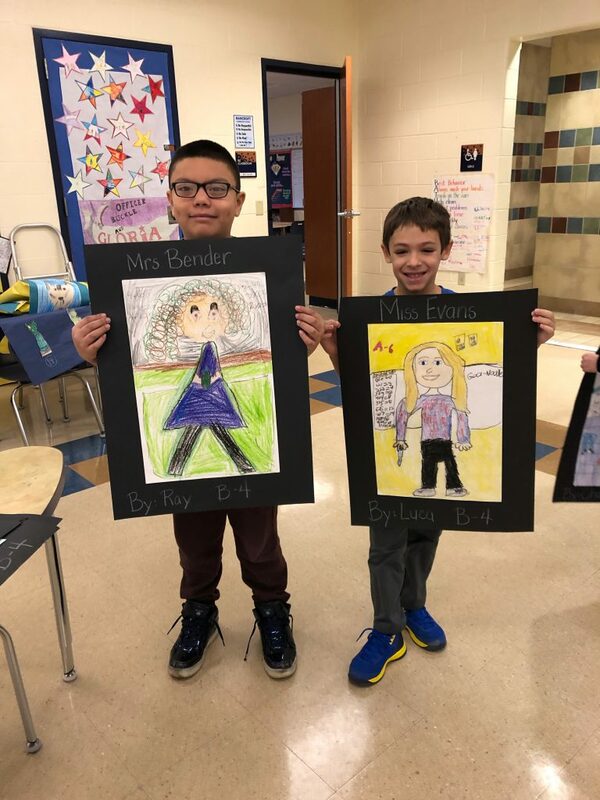 Mrs. Donnell explains that the students modeled their books after the popular “Who is?” series. 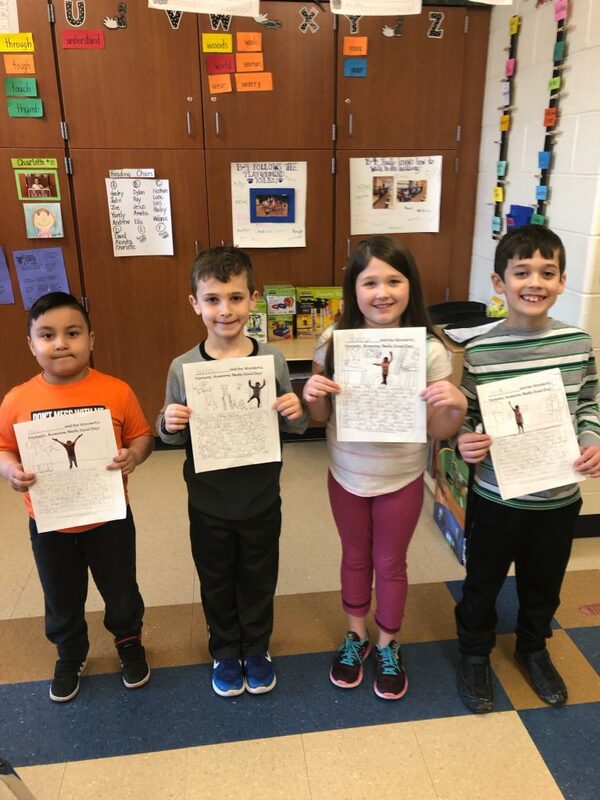 They wrote about their life experiences and had fun making goals for the future. 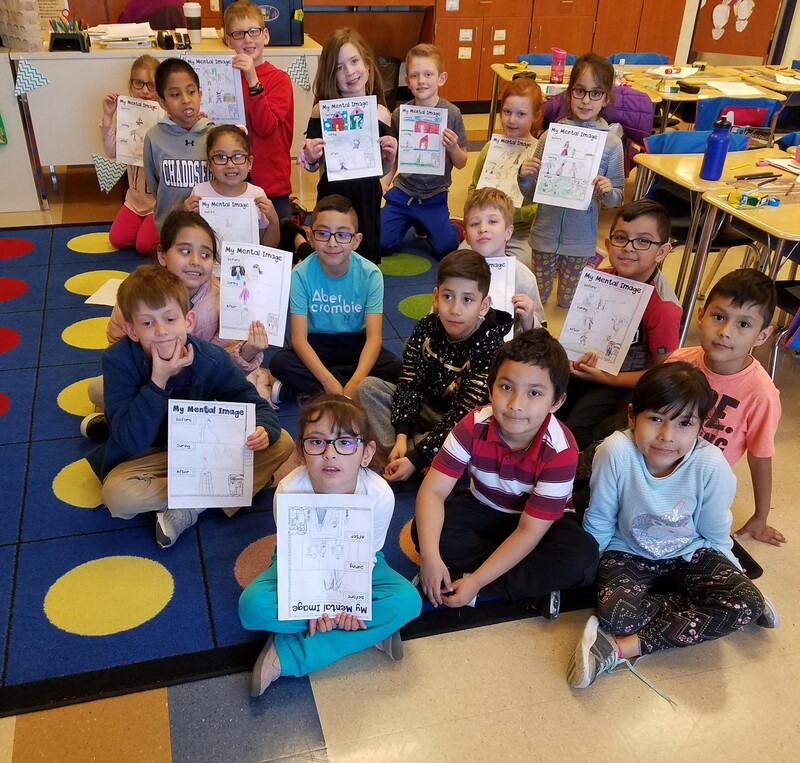 The class will celebrate being published at the end of the year with a parent publication picnic and dedication where students will donate one of their books to the library for future students to read.